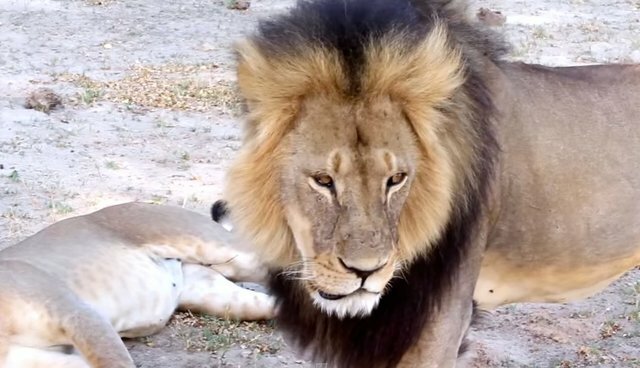 I'm mad that a dentist killed a beloved lion in Zimbabwe. I hate that an intelligent, emotional animal suffered for 40 hours. I don't like that one creature's pain is another's "sport." Yep, I'm pissed off. OK, now what? My science teacher landed on the list because she gave me a "D." Instead of studying more, I penciled her name on my list and never learned biology. My skating instructor topped the hate list because she said I needed more practice. Instead of practicing more, I put her on the list and, to this day, I fall on the ice. My sister made the list multiple times, mainly for stealing my sweaters. I'd kick her and she'd kick me and then she'd laugh and keep stealing my clothes. I've stewed in hatred before - it doesn't accomplish much. Instead of hoping that Walter Palmer's "entire family is murdered in front" of him and that he has "a long drawn out battle with cancer," how about we look to the future? Life is nice and tidy when there's a clear villain. "Die Hard" and "Speed" are two of my favorite movies (yep) because there are bad guys who are defeated (until the sequels) and I can wipe my hands clean of popcorn crumbs as the movie credits roll. In reality, it's not black and white, and there's not just one bad guy who appeared out of nowhere. There are broader issues that just aren't as simple and fun to tackle. Lions are suffering around the world today. I'd rather skip the death threats against one Minnesotan dentist, and focus on helping the lions who are still alive - some who can legally be killed. So I plan to learn more about trophy hunting, canned hunting and other challenges facing lions today.Lion cubs cling together after rescue from a Gaza zoo. (Four Paws)I am angered that there are lions mistreated behind bars who will never taste the freedom Cecil had in his all-too-short existence. I can transfer that anger into supporting organizations likeBig Cat Rescue that are fighting for legislation to protect lions from suffering in roadside zoos.I am upset by the lions traveling in tiny cages, forced to perform in circuses their entire lives. 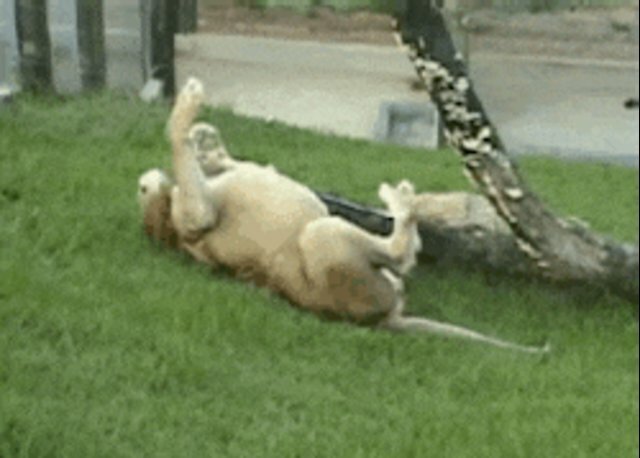 So I'll support animal-free circuses and organizations like Animal Defenders International that are working to free these majestic creatures.A freed circus lion finally feels grass. (YouTube/Rancho dos Gnomos Santuário)After questioning Palmer's sexual abilities ("Is it that difficult for you to get an erection that you need to kill things that are stronger than you? "), Jimmy Kimmel actually managed to push the conversation forward quite nicely, encouraging viewers to donate to the Wildlife Conservation Research Unit at Oxford, and suggesting, "It's important to have some good come out of this tragedy. "We can use the IUCN to learn about conservation and support additional organizations like IFAW.Threatening to shoot, behead and skin Palmer perhaps isn't the best we can do. Gandhi may have said it best: "An eye for an eye makes the world go blind." Hate is too easy. It helps us distance ourselves from the problem, wipe our hands clean of the whole thing. But Cecil deserves more than that.We can get mad. A magnificent creature was brutally killed and that is tragic, so yes, let's get mad. (But not so mad that we wish anyone's children dead.) But then, let's do the hard part, and translate that anger into action. Lions are suffering around the world today. I'd rather skip the death threats against one Minnesotan dentist, and focus on helping the lions who are still alive - some who can legally be killed. So I plan to learn more about trophy hunting, canned hunting and other challenges facing lions today. Lion cubs cling together after rescue from a Gaza zoo. (Four Paws)I am angered that there are lions mistreated behind bars who will never taste the freedom Cecil had in his all-too-short existence. I can transfer that anger into supporting organizations likeBig Cat Rescue that are fighting for legislation to protect lions from suffering in roadside zoos.I am upset by the lions traveling in tiny cages, forced to perform in circuses their entire lives. So I'll support animal-free circuses and organizations like Animal Defenders International that are working to free these majestic creatures.A freed circus lion finally feels grass. (YouTube/Rancho dos Gnomos Santuário)After questioning Palmer's sexual abilities ("Is it that difficult for you to get an erection that you need to kill things that are stronger than you? "), Jimmy Kimmel actually managed to push the conversation forward quite nicely, encouraging viewers to donate to the Wildlife Conservation Research Unit at Oxford, and suggesting, "It's important to have some good come out of this tragedy. "We can use the IUCN to learn about conservation and support additional organizations like IFAW.Threatening to shoot, behead and skin Palmer perhaps isn't the best we can do. Gandhi may have said it best: "An eye for an eye makes the world go blind." Hate is too easy. It helps us distance ourselves from the problem, wipe our hands clean of the whole thing. But Cecil deserves more than that.We can get mad. A magnificent creature was brutally killed and that is tragic, so yes, let's get mad. (But not so mad that we wish anyone's children dead.) But then, let's do the hard part, and translate that anger into action. 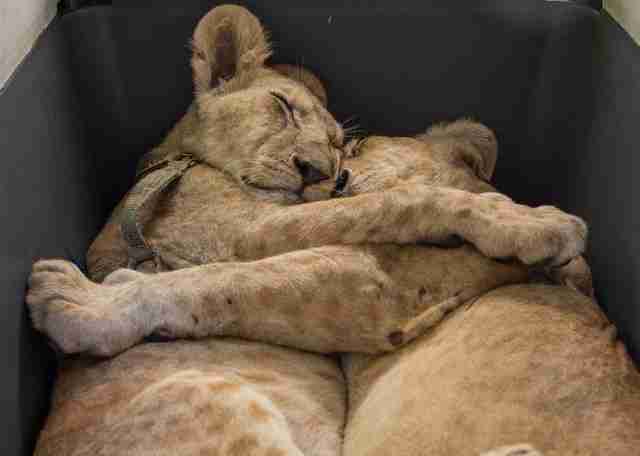 Lion cubs cling together after rescue from a Gaza zoo. (Four Paws)I am angered that there are lions mistreated behind bars who will never taste the freedom Cecil had in his all-too-short existence. I can transfer that anger into supporting organizations likeBig Cat Rescue that are fighting for legislation to protect lions from suffering in roadside zoos. I am upset by the lions traveling in tiny cages, forced to perform in circuses their entire lives. So I'll support animal-free circuses and organizations like Animal Defenders International that are working to free these majestic creatures.A freed circus lion finally feels grass. (YouTube/Rancho dos Gnomos Santuário)After questioning Palmer's sexual abilities ("Is it that difficult for you to get an erection that you need to kill things that are stronger than you? "), Jimmy Kimmel actually managed to push the conversation forward quite nicely, encouraging viewers to donate to the Wildlife Conservation Research Unit at Oxford, and suggesting, "It's important to have some good come out of this tragedy. "We can use the IUCN to learn about conservation and support additional organizations like IFAW.Threatening to shoot, behead and skin Palmer perhaps isn't the best we can do. Gandhi may have said it best: "An eye for an eye makes the world go blind." Hate is too easy. It helps us distance ourselves from the problem, wipe our hands clean of the whole thing. But Cecil deserves more than that. After questioning Palmer's sexual abilities ("Is it that difficult for you to get an erection that you need to kill things that are stronger than you? "), Jimmy Kimmel actually managed to push the conversation forward quite nicely, encouraging viewers to donate to the Wildlife Conservation Research Unit at Oxford, and suggesting, "It's important to have some good come out of this tragedy." We can use the IUCN to learn about conservation and support additional organizations like IFAW. Threatening to shoot, behead and skin Palmer perhaps isn't the best we can do. Gandhi may have said it best: "An eye for an eye makes the world go blind." We can get mad. A magnificent creature was brutally killed and that is tragic, so yes, let's get mad. (But not so mad that we wish anyone's children dead.) But then, let's do the hard part, and translate that anger into action.